The Hyperlink Analyzer is a development tool to ease Hyperlink system development efforts providing enhanced debug and diagnostic capabilities, as well as real-time monitoring of application performance. The HyperLink Analyzer provides the ability to read local HyperLink configuration registers and monitor HyperLink application performance in real-time. 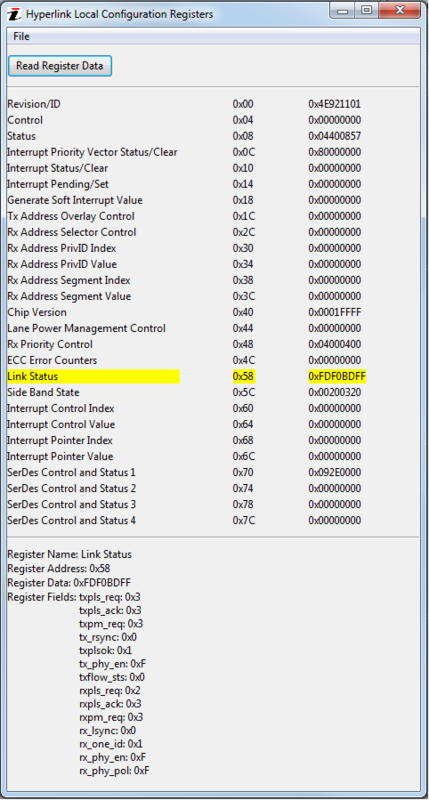 The HyperLink Analyzer Kit consists of a HyperLink evaluation core, HyperLink Analyzer Hardware Module, and PC software application which includes a graphical user interface. The HyperLink Analyzer Kit includes an enhanced evaluation core and sample design. The Hyperlink Analyzer core includes two additional blocks over the standard evaluation core, a core performance monitor block, and a USB interface block. 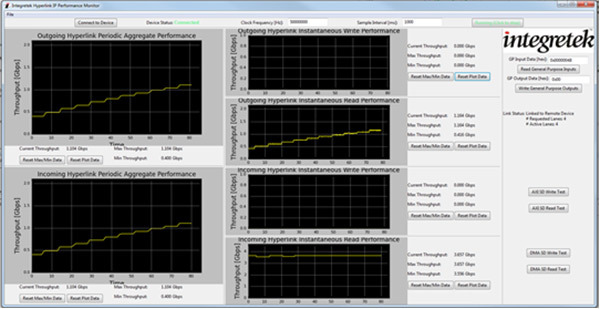 The core performance monitor tracks aggregate and instantaneous HyperLink IP Core performance. The USB interface block facilitates communication with the FTDI transceiver located on the Integre HyperLink Analyzer Hardware Module (950-AFE-USB circuit board) which plugs onto the HyperLink Connectivity Card. 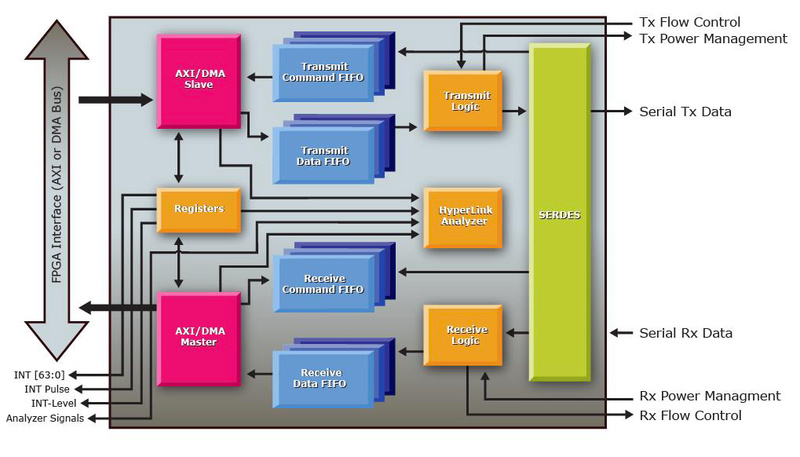 The figure below shows a block diagram of the HyperLink IP Core with the HyperLink Analyzer add-on. The Evaluation Kit includes a HyperLink Analyzer Hardware Module (950-AFE-USB) which plugs onto the Integretek HyperLink Connectivity Cards (FMC-950/951 or HSMC-950/951). The Module provides a USB connection between a Windows based PC and the HyperLink evaluation platform.